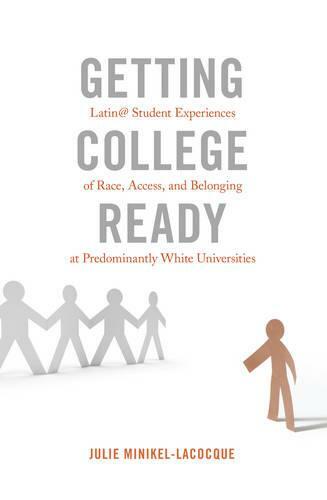 Getting College Ready: Latin@ Student Experiences of Race, Access, and Belonging at Predominantly White Universities challenges the way we conceive of college access, retention, and success for underrepresented students writ large. Specifically, through presenting an in-depth, qualitative case study on six Latin@ students transitioning to a public, predominantly White university, it examines what the institution does, or doesn't do, to meet the needs of these students. This book seamlessly combines the topics of college access and the transition to college for underrepresented students; it offers a comprehensive review of what we already know about underrepresented students in college and how they get there; it challenges some of this existing literature; and throughout, it weaves in the compelling voices and experiences of the study's focal students and staff members tasked with supporting them. This thoughtful study demands that we reconsider the ways in which we understand college access, school success, college preparation, the tenuous relationship between religious fundamentalism and public education, and conceptions of race and racism. Indeed, this work calls into question what it means to be "college ready".